This image has been created entirely in Photoshop, as a single document. Not just the lettering, with its brassy sheen and glassy reflection and refraction, but the puddle, the splash, and even the fish - both the fish leaping out of the puddle, and the refracted fish inside the glass lettering. 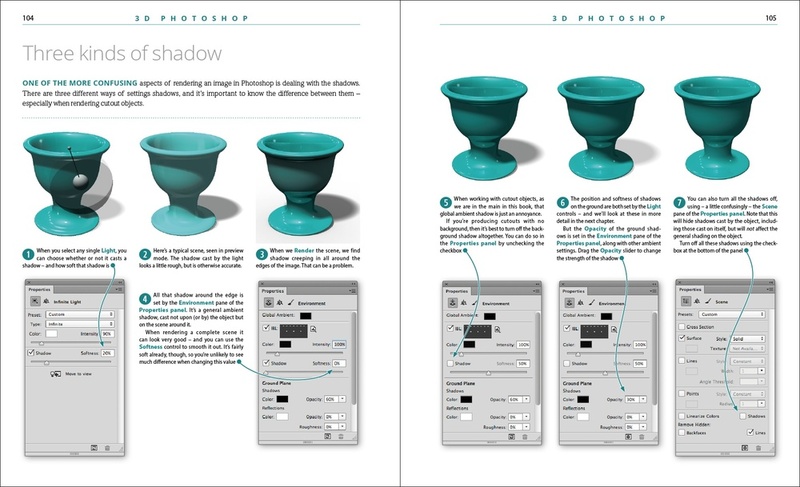 3D modeling has become an increasingly important component of Photoshop with the release of Photoshop CC. Now that it’s deeply integrated into Photoshop, more designers are discovering the value of being able to create and incorporate 3D objects into their montages, and artists who had previously shunned 3D modeling are experimenting with it now that the capability is built into the application they’re already using. 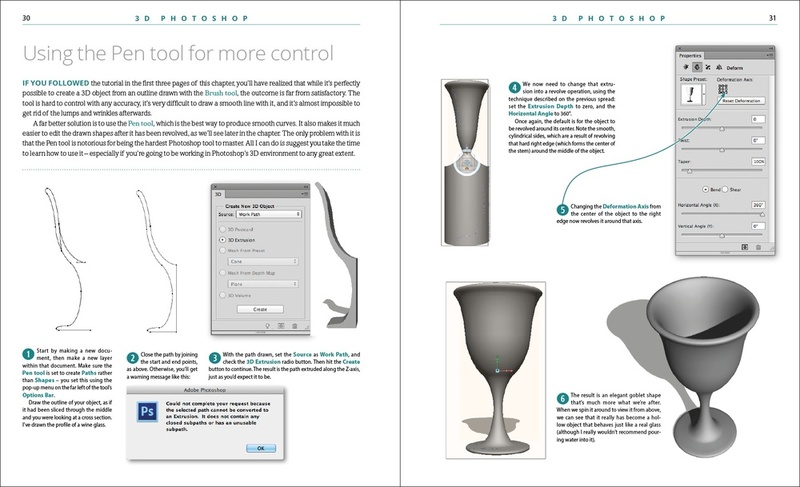 While Photoshop’s approach to 3D is different from dedicated 3D apps, it’s possible to create a wide range of models, and Photoshop can import models in a range of popular 3D formats. Using his proven project-based approach, Steve Caplin introduces the tools as they’re needed, rather than giving a rundown of what each tool does. 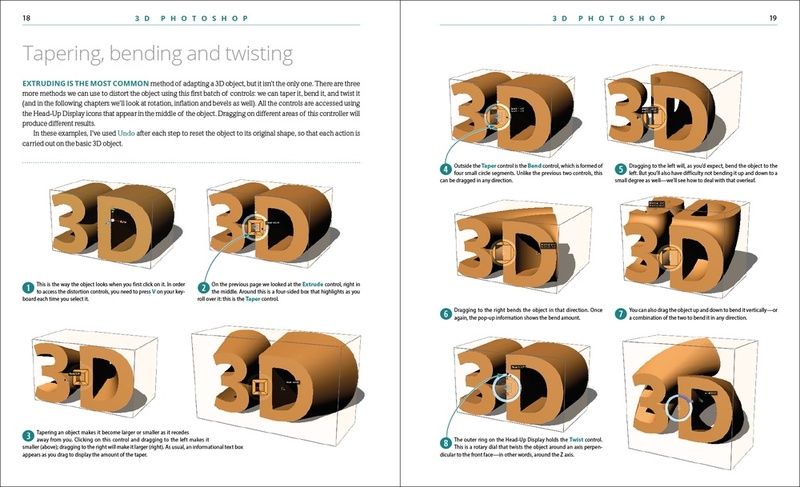 He shows the reader how to build a 3D object and manipulate it in 3D space, teaching the 3D theory through a practical, hands-on demonstration rather than didactic instruction. Here are some sample spreads from the book to give you a flavor of the writing and design style. Click on any of the thumbnails to enlarge them for a better view.